Took a Victorian friend (no, not that old, she just comes from Melbourne, Victoria!) out on the City Cat the other day. 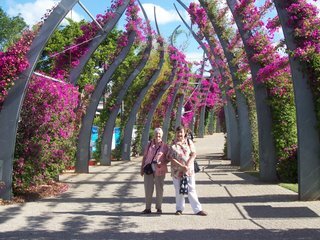 We got some great photos - Brisbane has such a lot to see and we haven't covered half of it yet! Now where does this look like we are? New Orleans?? 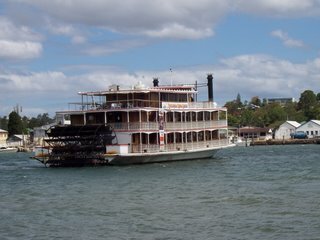 No - it's Brett's Wharf, in the Hamilton reaches of the Brisbane river!! The good old Kookaburra Queen was undergoing a bit of maintenance, and was doing a few manoeuvres , reversing and turning etc, while we were waiting for the City cat to dock. 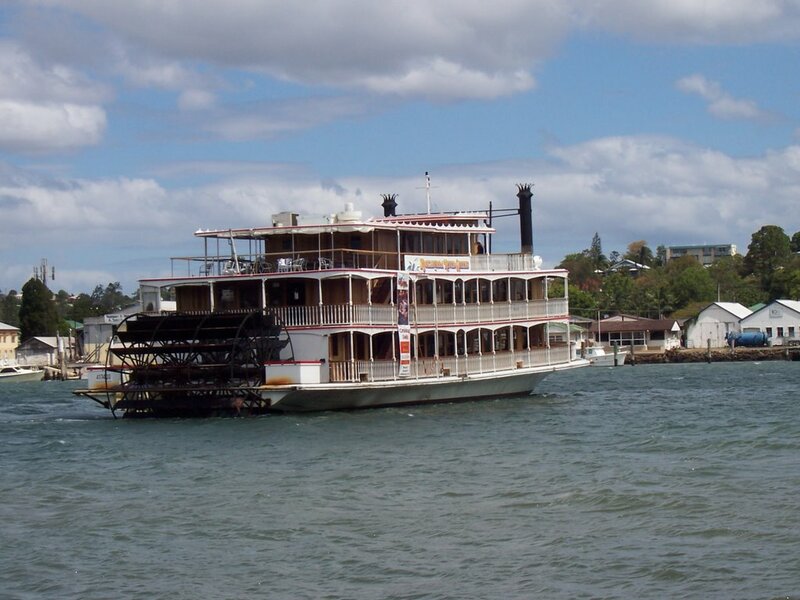 For those who aren't aware, the Kookaburra Queen is a pleasure boat, catering for parties, wedding receptions etc . 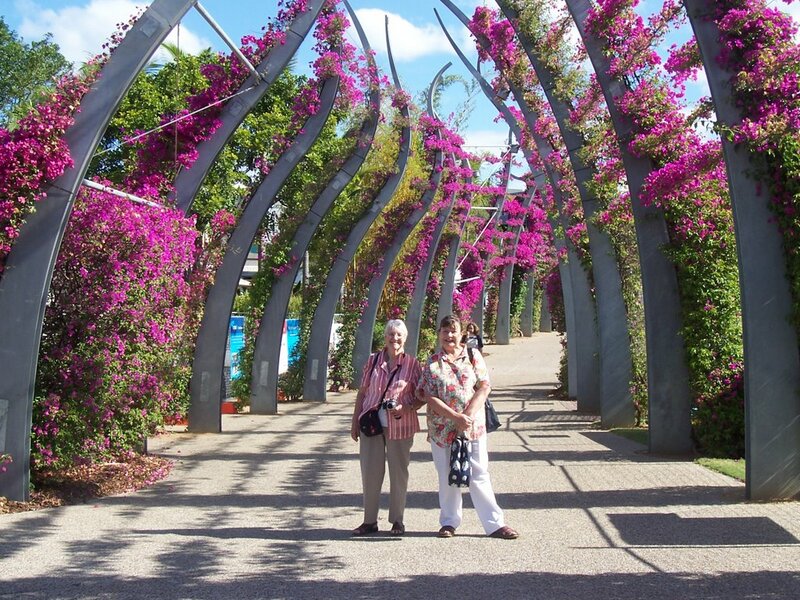 We took the City Cat to Southbank and got some great photos of the Bougainvillea Walk - still has some years to go before it really is covered with Bougainvillea though! But you can see how spectacular it is going to be one day. Yes folks - this is CROSS STITCH! 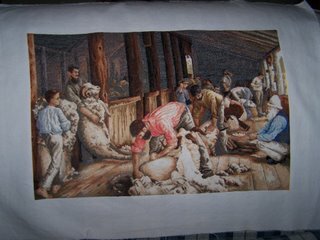 a reproduction of the McCubbin painting of the Shearing Shed. What a talent! 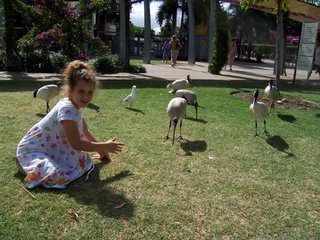 There are a lot of native ibis here at Southbank - they are very tame and will take food out of your hands - grand daughter Caitlin loved this. 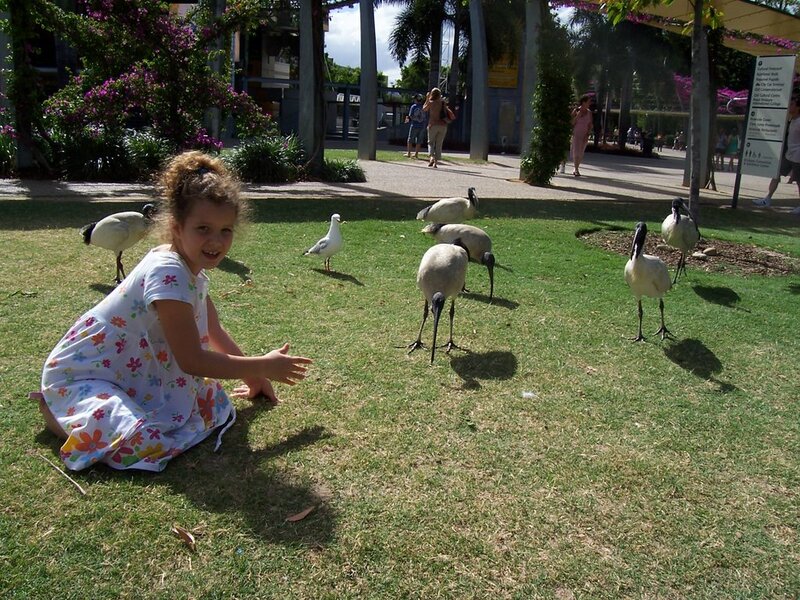 In fact, the ibis are becoming a problem in all the public places here in Brisbane, they really are not afraid of humans, and because they get used to being fed, they congregate in large numbers wherever people picnic! We had a lovely day - Edna could only manage a couple of hours - so it was back on the City Cat and back down the river, and home!